This lightweight, age-delaying daily moisturizer addresses the first signs of aging including the look of fatigue and stress, dullness, dryness and lines. 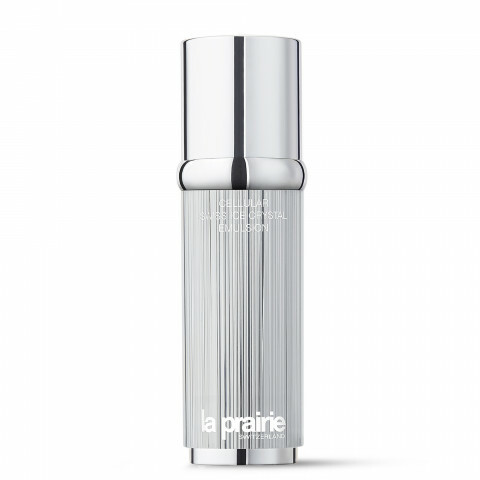 La Prairie's exclusive Swiss Ice Crystal Complex helps skin adapt to life's daily stresses that damage skin, while the exclusive Cellular Complex to allow skin cells to become rejuvenated and thrive. This emulsion highly focuses on providing essentials to the skin to keep it strong and moisturized. The texture is quite light and scent free, makes the skin comfortable after being applied. I normally use it every other day, and it really helps to maintain the texture of my skin.